Moreover, digital evidence examiners also have to retrieve information from various models of mobile phones (e.g. Android, Apple, and Blackberry), desktops, laptops, tablets, external storage devices, GPS locators, and various other electronic devices. The resulting mass of evidence necessitates investment in a high-performance, scalable digital evidence management system to effectively process, manage, and analyze the evidentiary data. 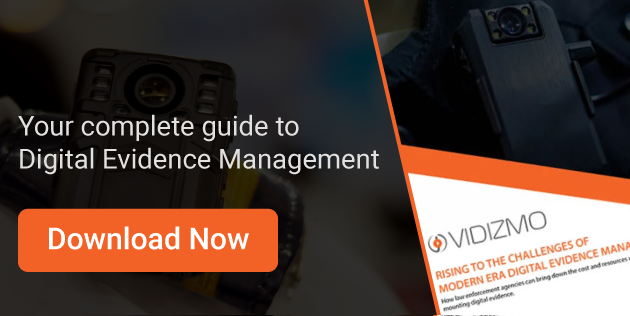 Evidence storage dilemmas are also at the heart of digital evidence management, especially with the increasing implementation and use of body-worn cameras (BWCs) that generate vast evidentiary footage on a daily basis. Law enforcement agencies in the County of Los Angeles, for example, already manage and process an overwhelming 2-5 terabytes of video annually. 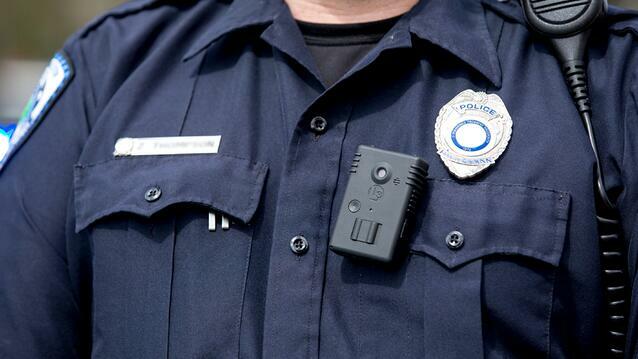 However, LA Sheriff’s Department estimated that this number would grow tremendously to anywhere between 6 and 11 petabytes of digital evidence yearly upon full deployment of the recently mandated implementation of body-worn cameras. The evidence storage conundrum is further exacerbated due to data retention policies that can majorly contribute to inflating storage costs. These retention policies could range anywhere from two to twenty-five years, depending on the case type, or even indefinitely in case of life and capital cases, for example. Amid these challenges, one thing has become evidently clear in the current legal landscape i.e. video, as a medium of digital evidence, is here to stay. The use of video evidence in the criminal justice system will only increase as technology becomes more sophisticated and finely ingrained in the lives of civilians around the world. With the implementation of BWCs, the rise of video will be exponential and pervasive in all criminal investigation. So what can be done to manage digital evidence? With video becoming the new evidentiary frontier, it is no longer a question of whether law enforcement agencies need to implement a digital evidence management (DEM) system; instead, it’s simply a question of when or how soon. The longer agencies take to employ a DEM architecture, the most inefficiencies will occur across departments, and the more arduous everyday tasks will become for employees at all echelons of the organizations. Embracing the augmenting digital data in the criminal justice system with the right technology helps agencies avail unrivaled benefits of automated digital evidence processing and several other functions; functions that would otherwise require human labor – distracting law enforcement personnel from their core responsibilities. What does VIDIZMO Digital Evidence Management System have to offer? Compatibility with a variety of file formats: VIDIZMO DEM captures evidence from numerous sources, in a wide range of proprietary and non-proprietary file formats, and converts all files into a few standardized formats – all while keeping the original file intact. Metadata, transcription, closed captioning & search: Once ingested, all files are assigned metadata (manually or automatically), and videos are auto-transcribed to ensure broad or granular search capabilities, which can retrieve content to a spoken word in a video. Not only this, closed captioning of all videos can also be enabled to facilitate courtroom presentations. Video processing and innovation: Video processing is also expedited with features such as automatic redaction, currently on VIDIZMO’s roadmap, which helps officers avoid prolonged hours of doing such tasks manually. Another example of efficient processing is a new hyperlapse feature, also on VIDIZMO’s roadmap, which produces time-lapse summaries of lengthy footage which would otherwise take several hours to review. Portal access and security: A secure role-based access control system, authorized via single sign-on integration, provides complete user and content separation based on user roles defined within the system. Within the DEM portal, individual users also have a private repository to manage their own content. Inter-agency file sharing: The portal enables external file transfer and sharing of all content with third parties in a timely manner. External sharing is carried out using a secure online link i.e. a password-protected URL that requires authentication through Google, Microsoft ID or VIDIZMO ID. VIDIZMO also allows content downloading so files can be copied to hard drives, DVDs or other storage devices for sharing. Analytics and chain of custody: VIDIZMO maintains audit logs of all those accessing the system, fulfilling chain of custody and cyber security requirements, while also maintaining top-notch privacy and confidentiality standards by tracking every user action within the system. Deployment models and integration: With flexible deployment and installation options in the cloud, on-premises or hybrid model, VIDIZMO DEM can be rolled out efficiently and integrated with existing IT systems in no time. Additionally, the system can be scaled up or down, depending on evolving customer needs. In an ever-changing digital ecosystem, law enforcement agencies must invest in a progressive digital evidence management system that flexibly adapts to nascent technologies that are radically transforming and shaping the future of industries across the board. For example, a software currently being developed for facial and emotional recognition will greatly simplify criminal investigations and digital evidence management – all while increasing efficiencies across agencies in the criminal justice system. In the current digital era, holding onto legacy systems to avoid the cost of implementing a digital evidence management system is a short-sighted approach. With modern technology dominating practices across industries, old systems will inevitably have to be replaced with new advanced ones, so law enforcement officials are able to do their job while effectively integrating with evolving technology. 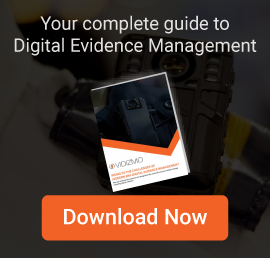 For more information about VIDIZMO Digital Evidence Management System, contact our team for a demonstration or sign up for a free 30-day trial today. If you would like to review Garter Research’s analysis of VIDIZMO DEM, click here to contact us today.